One area where a person has a fairly wide latitude to allegedly defame someone is… in a court proceeding. Specifically, Florida recognizes a doctrine of absolute immunity for “defamatory words published in the course of a judicial proceeding, regardless of how false or malicious the statements may be, as long as the statements bear some relation or connection with the subject [case].” This is a pretty solid doctrine, dating back to a 1907 case. Who decides whether an allegedly defamatory statement “bears some relation or connection”? The trial judge, who has broad discretion since “much latitude must be allowed to the judgment… of those who maintain a cause in court.” In fact, the precedent says that there is no “strict relevancy test” imposed. So what happens if an allegedly defamatory statement in the courtroom or record does not bear a relation/connection to the case? The party who made the statement still has a “qualified privilege” which can only be overcome by a showing of express malice (a high standard). What’s the reason for such flexibility to trash defame someone in the courtroom or record? One, parties in litigation are adversarial and there’s going to be harsh allegations that sometimes do not ultimately prove true / compensable / up to whatever standard applies. Likely, since people in Florida have a state constitutional right to access to the courts, we don’t want to chill that by exposing losing parties to defamation suits. Two, there is judicial oversight in depositions, courtrooms, pleadings, and filings. The trial court can always strike the defamatory matter from the record. See John M. Zuccarelli III v. Marilyn Barfield, where a local mayor sued a townsperson who sought an injunction claiming that the mayor had physically and verbally attacked her (the litigants have been involved in a trial and appeal). There was some dispute whether this was pertinent to the case but the trial judge held that it was relevant to the motion for an injunction. 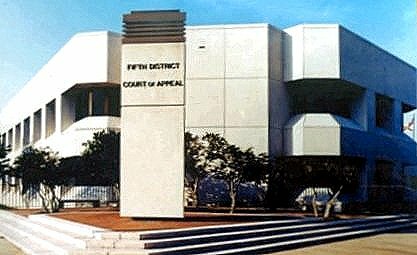 The Fourth District Court of Appeal upheld. This was contrasted with DelMonico v. Traynor, where statements outside of the court proceedings (but during investigation) were not protected.